We have been promoting classical music in Poland and abroad already for 10 years. We organised more than 200 concerts in 23 countries with the participation of more than 1000 musicians. We put emphasis on the piano music but we are presenting solo recitals as well as chamber music concerts and events with symphonic orchestras. Our key idea is combining expertise and passion in creating artistic events at the highest, professional level. 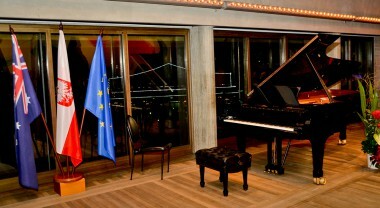 The president of the Association is Polish pianist Marian Sobula (www.mariansobula.com), a laureate of many international piano competitions, has won several scholarships funded by the Ministry of Culture and National Heritage, the Ministry of Science and Higher Education, Polish Culture Foundation. He is considered to be ‘one of the most promising artists of the young generation’. The programing board comprises the most prominent figures from the musical world: prof. Paul Badura – Skoda, Peter Grote, prof. Marian Lapsansky, prof. John O’Conor, prof. Arie Vardi and the Head is prof. Andrzej Pikul, an outstanding Polish piano teacher (head of the Piano Department at the Academy of Music in Cracow), pianist and jury member of international piano contests. PianoClassic does not have a fixed source of financing, nor does it receive any regular subsidies. The Association’s operation has been possible thanks to the funds it obtained for carrying out particular projects. 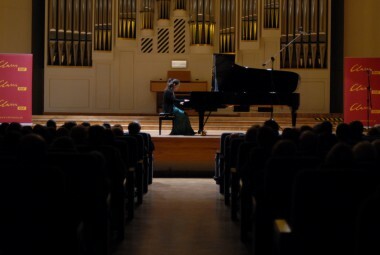 During the eight year long history of its flagship project – The Royal Cracow International Piano Festival, PianoClassic has cooperated with the following institutions and companies: authorities of the Małopolska Province (Marshal’s Office and Małopolska Provincial Office), the municipal authorities of the City of Cracow, Institute of Music and Dance, Ministry of Culture and National Heritage, Tauron Polska Energia S.A., Polimex-Mostostal S.A., Fundacja Orange, PERN, MARR, EC Kraków, Energokrak, YAMAHA, The Italian Institute of Culture, Montenegrin Embassy in Poland, The French Institute, The Czech Centre, The Romanian Institute of Culture, Academy of Music in Cracow. Since 2012, apart from its operations in Poland, PianoClassic has been particularly active promoting Polish culture abroad. The Association’s members and partners – Polish artists of world renown have established an extensive network of contacts who prove very useful in arranging artistic events worldwide. The organization has been working on strengthening and developing this network further. While carrying out its projects abroad, the Association received support from the Ministry of Foreign Affairs (Department for Cooperation with Polish Diaspora and Poles Abroad, Department of Public and Cultural Diplomacy), authorities of the Małopolska Province, Polish diplomats abroad, Polish culture institutes, organizations representing Polish diaspora, Chopin societies, conservatories (Australian National University, Sydney Music Conservatory, University of Haifa, The Jerusalem Academy of Music and Dance). PianoClassic is member of the Anna Lindh Foundation Network.